Expedia's Graz vacation packages will help you save cash! Bundling your reservations will give you more cash to splash for your upcoming adventure. With just a few clicks, you'll be able to arrange everything you need for your next vacation using our extensive database. And — with more than 400 partner airlines and 321,000 properties from all around the world, you'll have the freedom to mix and match! You can alter your travel bookings with us because we do not charge cancellation fees for almost all of our bookings. Preparing for your trip to Graz? Looking for some recommendations about what to see when you're there? That's where we come in! You won't have to worry about a boring moment in this animated city. The Graz Town Hall and the Graz Art Museum will make sure you keep busy. Eggenberg Palace and the Styrian Armoury are a few more worthwhile attractions that are worth a look. Used for worship and moments of prayer, Graz Cathedral is a distinguished holy landmark. That being said, you don't have to be a faithful church-goer to explore this serene place. There's a wonderful range of things to keep you busy in this destination. Monuments that honor the dead are often both impressive and sobering. Stop by Mausoleum of Emperor Ferdinand II. for some quiet reflection. Still have time to spare? Think of yourself as an art enthusiast? Immerse yourself in some inspiring works and try to make out the meaning behind them at Neue Galerie. Vacations are about doing things you get a kick out of as well as things you've never undertaken before. Are you ready to try some terrific new experiences? If you're after some exciting things to do in Graz, you definitely can't go past a Small-Group Graz Vintage Photo Tour with a Polaroid Camera or a Graz City Architecture & Highlights Helicopter Flight. Jump onto our Graz things to do page for a comprehensive list. There's nothing better than winding down after a big day of adventures. There are no less than 38 accommodations in Graz, so finding a comfortable bed for your luxury getaway or cheap vacation won't be a drama. If you've got a bit of jet lag, there's nothing quite like chilling out in a flashy room and dining on some room service. See what delectable treats await you at the AMEDIA Luxury Suites (Evangelimanngasse 6) or the Schlossberghotel - Das Kunsthotel (Kaiser Franz Josef Kai 30). 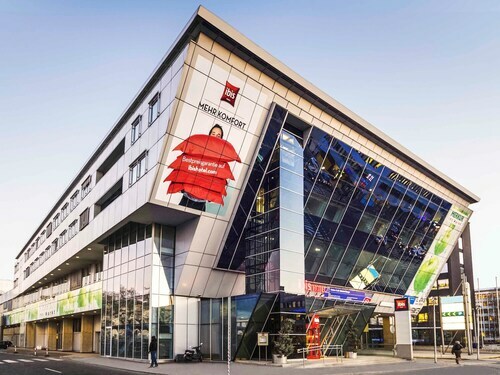 If you're hoping to find somewhere that doesn't break the bank, the Hotel Gollner (Schloegelgasse 14) and the a&o Graz Hauptbahnhof (Eggenberger Strasse 7) might better suit your needs. Have you booked your plane tickets for your trip to Graz yet? When you arrive, prepare to step out into Thalerhof Airport (GRZ). It's 6 miles (10 km) from the terminal to the downtown area. Discover innovative exhibitions of contemporary art and photography in Graz’s futuristic “Friendly Alien,” a biomorphic and architecturally astonishing museum. Explore lavish 18th-century State Rooms, see stunning planetary-themed murals and wander in the beautifully landscaped gardens of this Baroque palace. In Graz’s Old Town, visit this 15th-century castle, which is famous for its double staircase and a courtyard decorated with a series of busts. Graz has one of the most well-preserved historic old towns in Austria. At the heart of it lies the main square, a perfect starting point for a tour of the city. Located in Graz City Centre, this hotel is steps from Freedom Square, Graz Playhouse, and Holy Trinity Column. Graz Old Town and Graz Cathedral are also within 5 minutes. Graz Central Station is 28 minutes by foot and Graz Ost-Messe Station is 30 minutes. Located in Lend, this bed & breakfast is within a 15-minute walk of Graz Old Town, Farmer's Market on Lendplatz, and Explosiv Graz. Graz Art Museum and Mariahilf Church are also within 15 minutes. Graz Central Station is 7 minutes by foot. Located in Lend, this hotel is within a 15-minute walk of Explosiv Graz and Farmer's Market on Lendplatz. Graz Old Town and Mariahilf Church are also within 1 mi (2 km). Graz Central Station is only a 1-minute walk. 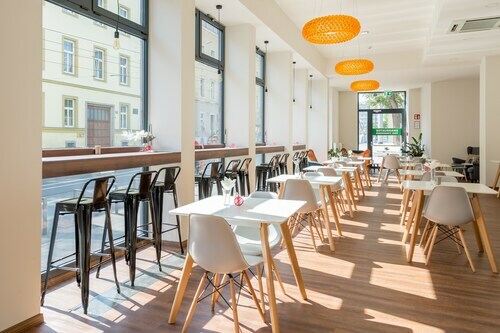 Located in Lend, this hotel is within a 5-minute walk of Farmer's Market on Lendplatz, Graz Old Town, and Mariahilf Church. Murinsel and Graz Art Museum are also within 10 minutes. Graz Central Station is 15 minutes by foot. 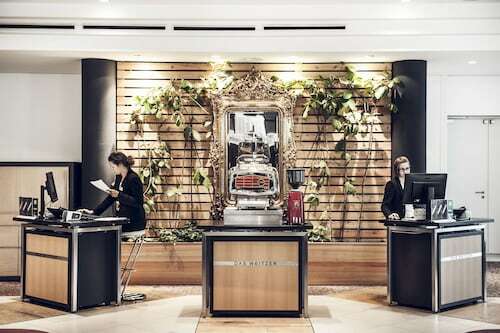 Located in Sankt Leonhard, this hotel is within a 15-minute walk of Church of the Sacred Heart of Jesus, Farmers Market on Kaiser-Josef-Platz, and Graz University of Technology. Graz Opera House and Next Liberty are also within 1 mi (2 km). Graz Ost-Messe Station is 20 minutes by foot. 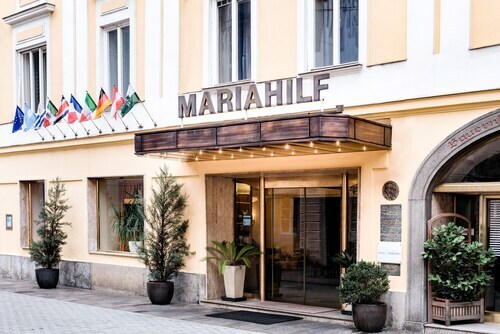 Located in Lend, this hotel is steps from Graz Old Town, Mariahilf Church, and Graz Art Museum. Murinsel and Franciscan Church are also within 5 minutes. Graz Central Station is 19 minutes by foot. 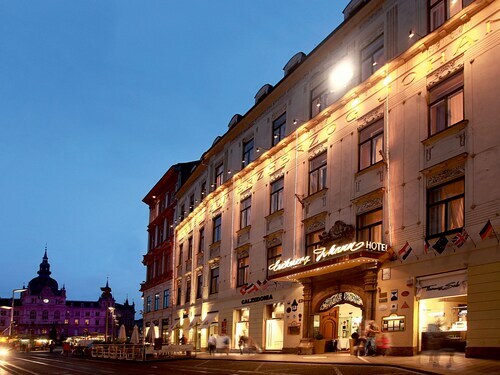 Located in Graz City Centre, this hotel is steps from Graz Old Town, Graz Main Square, and Archduke Johann Fountain. Graz Museum and Graz Town Hall are also within 5 minutes. Graz Central Station is 23 minutes by foot and Graz Ost-Messe Station is 27 minutes. Located in Gries, this hotel is steps from Graz Old Town and Franciscan Church. Graz Art Museum and Neue Galerie are also within 5 minutes. Graz Central Station is 21 minutes by foot and Graz Ost-Messe Station is 28 minutes.